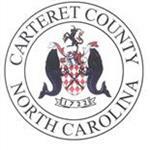 There will be a free legal clinic to assist residents with FEMA appeals in Morehead City on Saturday, February 23 at Carteret Community College, 3505 Arendell Street. The morning session will run from 9:30-12:00 p.m. and the afternoon session will run from 12:30-4:00 p.m. This event is coordinated by the NC Pro Bono Resource Center, a program of the NC Equal Access to Justice Commission, with support from Legal Aid of North Carolina. Hurricane survivors who wish to speak with an attorney must register in advance.